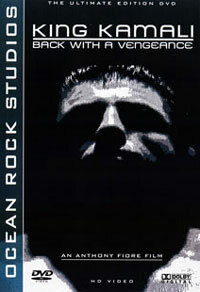 2006 IRONMAN PRO DVD: PASADENA CIVIC AUDITORIUM FEBRUARY 18TH, 2006. The DVD started off with some footage from the weigh in then the show began. Oliver went through the mandatory poses and was looking pretty good. A couple of things caught my eye during his back poses: his hamstrings and glutes tie-in was weak and displaying no separation and his back double biceps pose was fairly narrow. Interestingly, he looked wide in the rear lat spread. To his credit, he was sharper from the front than he was from the back. My guess is that a little more dieting and he would have been as sharp from the back as he was from the front. Troy has a classic look, right out of the golden age of bodybuilding! He is often criticized for having a weak hamstrings and glutes tie-in, but it was not looking to bad at this show. Eryk is known for having a powerlifting background and it is with that training that he has built such a dense and hard physique. At 5’ 5”, he is one of the better shorter pros out there. Eryk doesn't really have any stand-out strong points or weak points - everything flows together very well. He does have fantastic arms and calves however. Chris was looking very large. I had never noticed it before, but Chris has some good sized calves on him. What was not impressive about Chris at this show was his relative lack of conditioning which was visible in some poses more so than others, such as the back double biceps. His tan seemed almost uneven, as if the oil and skin products he had been using had been applied quickly. I think Chris most definitely has enough muscle mass to do damage at the pro ranks, but I don't think his conditioning displayed all that muscle he has developed. I think Chris could qualify for the Mr. Olympia if he got his conditioning on track, just as it was when he won his pro card. Kris showed up quite hard and had a very tiny waist. He is also 5' 5” and is another one of the better shorter pros. He, Eryk and Hidetada were the three Asians in this event. His lats start somewhat high on his torso and his arms are almost too big for his frame. 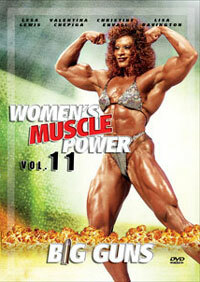 However, rarely would a bodybuilder be unhappy to have a muscle too big. What is definitely true is that Dim's conditioning was great and he had a good tan to display his cuts and separation. Mark looked good and was shredded as he always is. Mark is around 5'6 and as such, has shorter limbs. Mark is another classically sculptured bodybuilder who looks like he came right out of the golden age of competition where bodybuilding was about building beautiful physiques and not just about massive size and overall impressive. I do not think Mark should change much other than try to bring up his arms and continually try to come in harder at each show. He could be a future winner of this event, given time. I had not seen much of Moe before watching this DVD. Overall he looks very good but I did note that his triceps were almost too big for his shoulders. I would think bringing up his shoulders slightly would make him look better in poses such as the hands clasped most muscular pose and the hands on hips most muscular pose. He definitely looked good though. Toney is one tall cat! He is huge and has a trim waist and holds 280 pounds very well. It took a while for Toney to climb up the ranks, but finally he won three pros shows after turning 40! I think Toney will be around for a while since he is currently at his lifetime best and only appears to be improving. He looks great for 6'2 and while he has a very long physique, he has a great X frame. 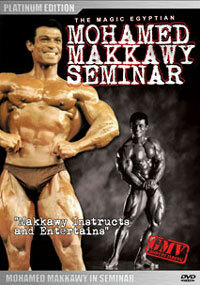 Ahmad is another bodybuilder in the same class as Troy Alves and Mark Dugdale. He is classically sculptured without being overwhelmingly muscular. Ahmad always displays great conditioning and has an excellent midsection. Like Mark, his arms could stand to be slightly bigger and I also think he could do with bigger shoulders as well. Ahmad was cut at the show, but I wouldn't say he was as shredded as I had seen him before. This is another pro who I think was attempting to peak for the Arnold. Being slightly harder and fuller would have made Ahmad look a lot more impressive at the contest. David is another of the good shorter bodybuilders around today. He says he does no cardio, but comes in absolutely shredded. His glutes were ripped to shreds, but his hamstrings were a weak point for him. His quads were cut like crazy and his conditioning was awesome. Martin looked like a big boy (tall too), and had the proportions of a human being and not a cartoon. He was pretty cut and he had a deep tan. His glutes were pretty hard which was proof of his conditioning. It was when Mustafa came on stage that I remembered how much of a freak he is. He was just plain huge and was big everywhere. His quads, in particular, looked almost too big. His chest was huge and if only he was sharper and harder, he would do much better at contests. He has however competed in the Olympia. 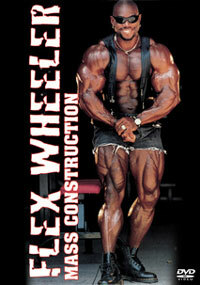 Lee is possibly the best short bodybuilder in the history of bodybuilding. Lee had great size, but his conditioning in the back and glutes was not strong. Like so many other bodybuilders, I think that Lee has maxed out his genetic potential because he generally looks the same year after year. Armin had an impressive physique and had good skin tone at the show which highlighted his great conditioning. He is noted for his fabulous arm development. I had not heard much of Nathan before this contest and I am sure I will hear more from him in the future. His glutes were pretty hard and the same can be said of his abs and serratus. Next, the callouts took place. The first callout was Troy Alves, Lee Priest, David Henry, and Mark Dugdale. The group went through the quarter turns and were all looking good. David Henry was the most shredded of the bunch, but I would say Troy Alves was the most complete. Lee had a lot of muscle packed on his frame though, and that is hard to ignore. Other bodybuilders were called out to do quarter turns and Toney Freeman and Mustafa Mohammad impressed me. Toney was impressive due to his combination of stature and size, and Mustafa is just a complete freak. Derik Farnsworth appeared in one of the callouts, and he is one of the few 5'1 pro bodybuilders who compete at this level. 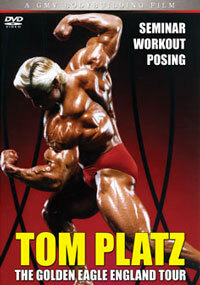 Next, Lee Priest, Troy Alves, David Henry, and Kris Dim hit mandatory poses. I remained impressed with Troy's proportions and symmetry and I also noticed that while David Henry looks huge standing by himself, he tends to look smaller when put side by side with pros who are taller and heavier. Troy Alves is a good example of a bodybuilder who can make David look smaller than he does by himself. A new batch of pros were called out for the mandatories and were looking good, but at this point in the show it was obvious who the top placings were going to go to. However, I do think that Toney Freeman could have been way up there. Perhaps a strength turned into a weakness for him, because at 6'2, he may be very imposing, but he also has a very long frame to put muscle on and that does not come easily. No doubt it made things difficult for him because he doesn't have as much muscle, relative to his height, as some of the shorter pros have. The mandatory poses continued amongst the competing pros and Derik Farnsworth caught my attention once again. His front double biceps pose was incredible, and his lats flared out exactly as they should in that pose. He definitely had some great proportions on him. Lee Priest hit the mandatory poses with David Henry and while David was much sharper, Lee was much bigger and you could argue he had better proportions as well. Henry does deserve a lot of credit for his hardness and fullness though, as well as his consistency in coming in shredded. Mo posed to slow music. For someone who did not finish in the show, his conditioning from the front was pretty good. But from the rear, it was not as good. His arms were also a weak point for him. Tamer had a very pleasing physique but did not have the size to compete side by side to some of the other pros at the contest. He definitely had a great physique though. I think a large part of the reason for Derik not finishing high is due to his stature. At 5'1 it is difficult to do well in the pro ranks no matter how good you look. Heiko was full and in good condition and had meat hanging off of him. Heiko is not the possessor of the most beautiful physique out there but definitely has a lot of size on him. Evgeny is one of those pros with no strong or weak points, and as a result, doesn't have anything to stand out against pros who are so huge and shredded. He looked good though and it was a respectable showing for him. Dragan had some amazing abs and a very hard chest. I would say what held him back slightly was lack of mass in some areas. He was definitely hard. Arnaud had weak arms and could have applied more tan. Sometimes bodybuilders place lower than they should solely due to not displaying their conditioning as well as they could with a better tan. Arnaud's chest was also a weak point. Heinz had the same flaws as some of those listed above - he did not have the required strengths to do better at the show. Emmanuel had a relatively wide waist for his frame, but was in reasonable condition as noted in his back double biceps pose and in his glutes. Hide has had a good year so far in 2007, even entering the 2007 Arnold Classic. I think we will hear a lot more from him in years to come. He has huge potential. Ntuk Ntuk looked pretty good and displayed better conditioning than a lot of the other guys who did not place in the top spots. Oliver was pretty hard and pretty well tanned. The awards were presented and Lonnie Teper made the announcements to the crowd. Next the top five posed down. Troy hit a classical pose and looked like a sculpture. David Henry was looking sharp and Lee was freaky for his height. Aside from winning the posing award, Lee also won the fan's choice award. 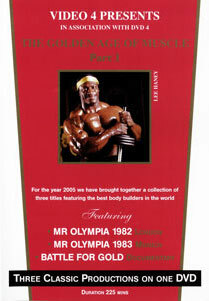 This was a good contest and one which shows a good variety of world class bodybuilders. Personally I think David Henry was harder than Lee Priest, and Troy Alves was most aesthetic, but Lee had enough mass and cuts to win, and he is often one to place second and it was nice to finally see him pick up the title. The Ironman Pro show is known as one of the best shows to highlight the condition of the pros because of excellent lighting. 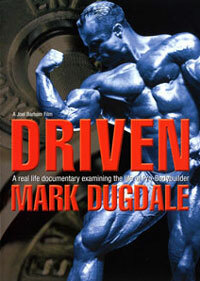 The DVD captures that quality in a very strong lineup of bodybuilding professionals. Another superb quality production from GMV. They always seem to have the camera right where your eyes would want to be.